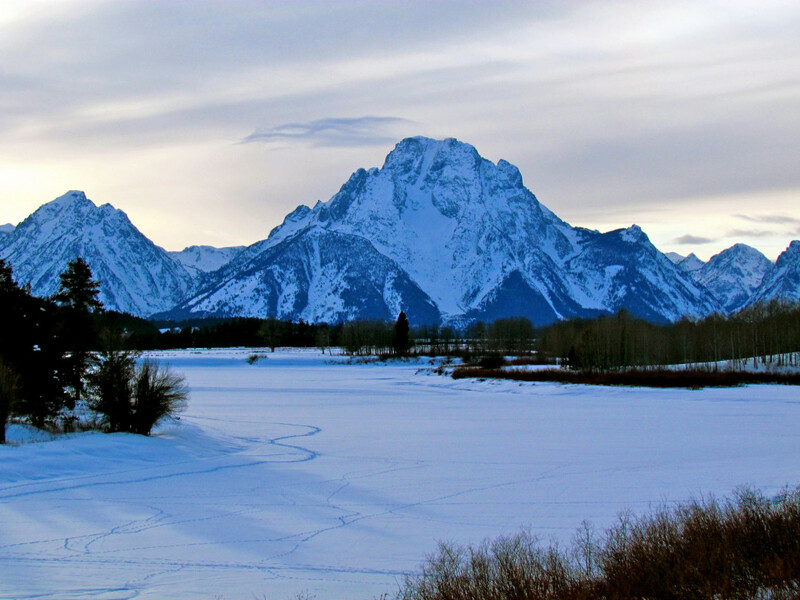 Grand Teton is just one of the alternatives to bagging Black Friday madness in favor of outdoor adventure around Jackson. After you've stuffed yourself with turkey and all the fixings, why not follow the lead of an increasing number of top brands and skip the Black Friday sales? Instead of battling with crowds of frenzied customers, why not opt for a day outdoors after Thanksgiving? For further incentive in Jackson, the snow has started to fall and winter is cranking into gear. Ski resorts will be open by Thursday, and you won't find a shortage of other ways to get outside on Thanksgiving weekend in Jackson. Many of these activities are also great ways to entertain the whole family and get everyone from Grandma to tiny tots outside and active. 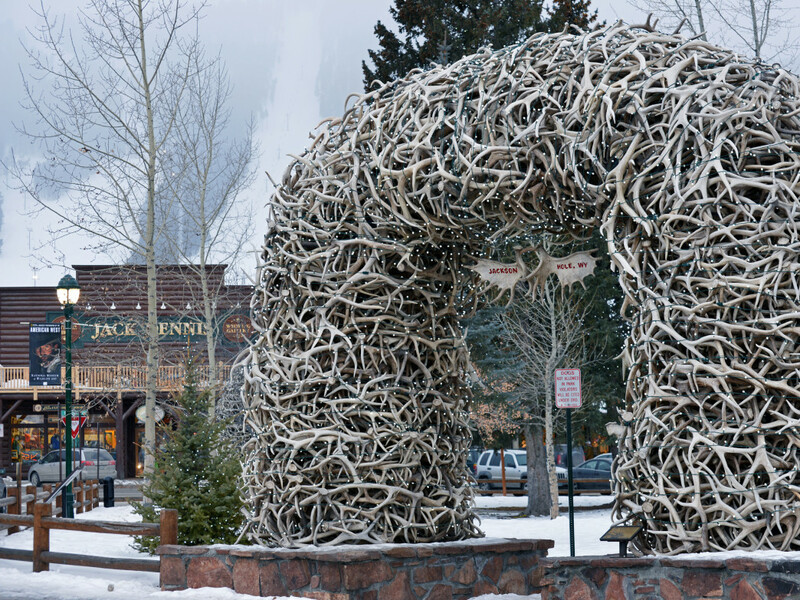 On November 27, head downtown for the annual Town Square lighting from 5-7 pm to watch thousands of LED bulbs light up the iconic elk antler arches and surrounding trees and enjoy the festive atmosphere. Listen to holiday music and Christmas carols, watch Santa arrive with a team of sled dogs, and enjoy coffee and hot cocoa. 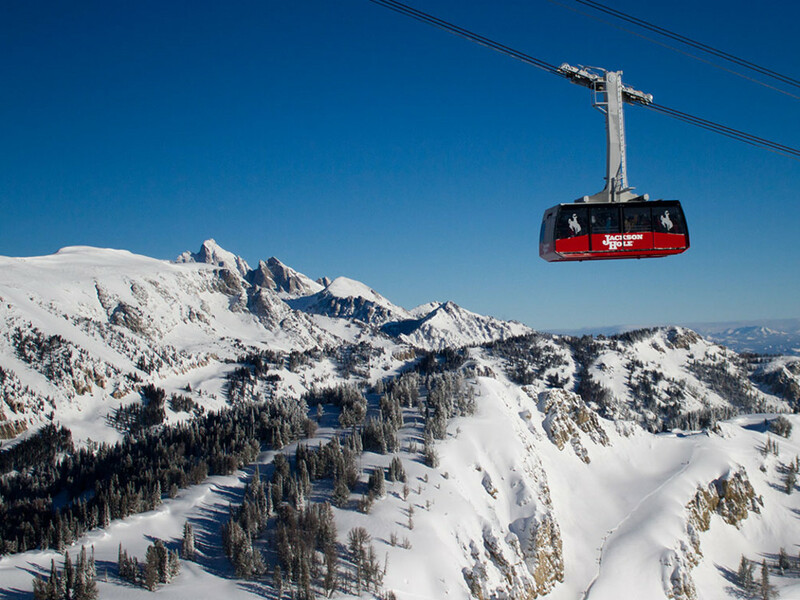 Grand Targhee's opening day was November 20, and the slopes are ready for action. This resort on the western side of the Tetons—just an hour from Jackson in Alta, Wyoming—offers a family-friendly way to enjoy the 62 inches of snow already reported for this season. This year, JHMR opens on Thanksgiving Day. The next day is Flashback Friday, when you can enjoy a trip back in time to 1965 in honor of the iconic resort's 50th birthday. This means perks like $6 lift ticketsand $6 ski waxes, a huge party at the Mangy Moose, and plenty of other opening weekend happenings. Friday is sure to be packed, but season pass holders and others will likely enjoy fewer crowds and shorter lines on Saturday or Sunday (though not the incredible $6 lift ticket prices). 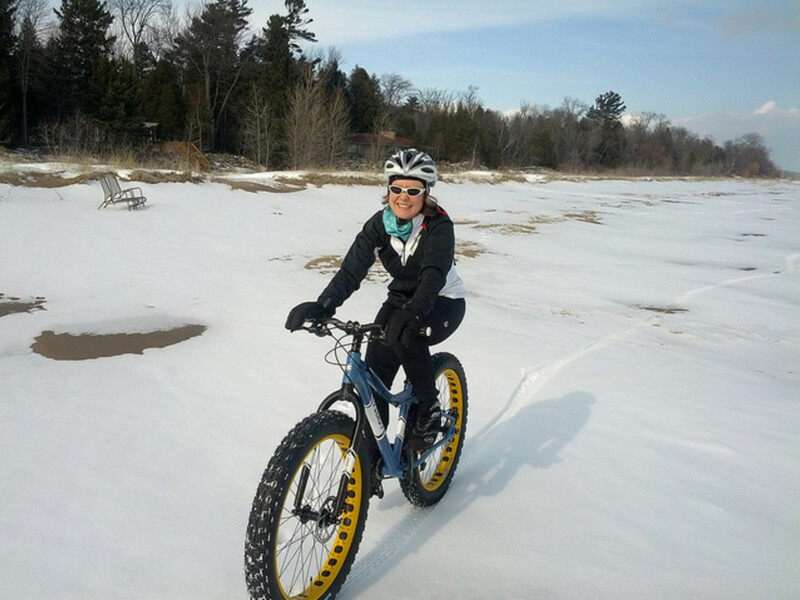 Grab your fat tire snow bike and get ready for winter riding. Head out to the Snake River Levee or ride on one of the bike paths around town or head up Cache Creek. Be sure to have your bike properly outfitted for winter and avoid any winter wildlife closures. Fasten micro-spikes onto your running shoes and get ready to brave the icy and snow-covered paths around town. The National Elk Refuge Road is often a good choice for a wintry run, since it's typically less icy than other roadways. Check conditions and see whether hiking boots (perhaps with micro-spikes) or snowshoes would be the best foot gear for your trip out into the park. While snow coverage may be a little low, Bradley and Taggart Lakes are popular spots to snowshoe or go for a winter hike. Backcountry skiers are out in force on some of the early-season backcountry terrain in the area. Edelweiss , on the south side of Teton Pass, is one favorite this time of year. Be sure to check the local avalanche forecast and have the skills, equipment, and experience necessary to travel in avalanche terrain. For a great investment in your outdoor endeavors, signing up for an Avalanche Education Class to learn how to safely navigate backcounty terrain is well worth the time and money. The American Avalanche Institute offers a number of classes in Jackson as well as a few in Salt Lake City, Park City, Bozeman, and Missoula. Gain the knowledge you need to make any trips into the backcountry safer with one of these informative classes. Pick your favorite outdoor activity and bring it out to the Snake River, walking, jogging, or biking along the levee . 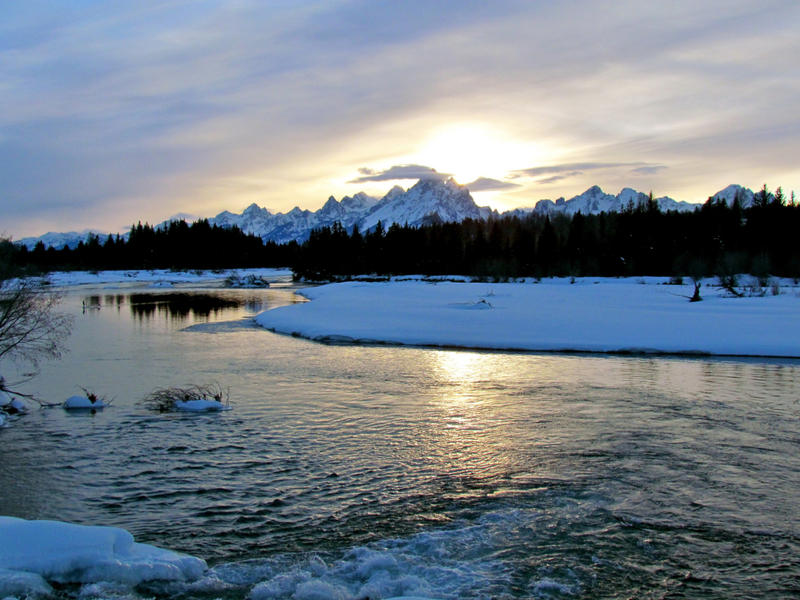 Head out early and enjoy a picture-perfect scene as the steam rises off the river with the Tetons in the background. And keep your eyes out—you might even spot a moose. Perhaps a memorable backdrop for your holiday photo?